Dumbleton Hall is a three-star hotel set in a nineteenth-century manor house. Surrounded by private gardens, this hotel features magnificent views of the Vale of Evesham and provides free parking and Wi-Fi access. Each unique room at the hotel features views of the gardens or vale and also includes a bathroom, TV, hairdryer, telephone, and a hospitality tray. This hotel is a smoke-free property that offers amenities that include laundry service, gardens, library, meeting facilities, wedding services, and a safe deposit box at the front desk. A complimentary breakfast is served each morning while the Cedar Tree Restaurant also provides lunch and dinner options specializing in British cuisine. Guests can relax with a drink in the hotel bar/lounge area. 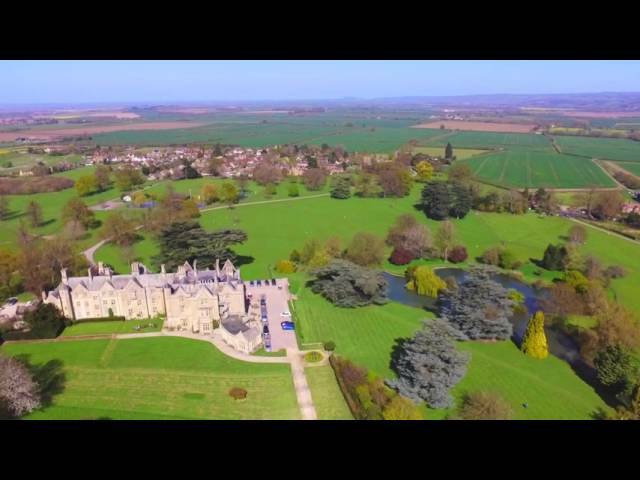 Dumbleton Hall is a five-mile drive from Evesham and less than twenty miles from Cheltenham, and Stratford upon Avon. This package includes dinner, bed and breakfast. An Easter egg and a bottle of Posecco will be in the room ready for your arrival. This package includes bed and breakfast with dinner for 1 night. An Easter egg and a bottle of Posecco will be in the room ready for your arrival. Join us to celebrate the festive season with this 3 night stay to include bed and breakfast. Join us to celebrate the festive season with this 3 night stay to include dinner, bed and breakfast. Arrive at Dumbleton Hall and check in, make your way to your room where 'Dexter Bear' will be waiting to greet you on your arrival. Join us in the lounge for a Jug of Sangria at a time that suits you. Dinner is included in the evening and served in the Cedar Restaurant with breakfast also served in the restaurant the following morning from 8.00am - 10.00am Come and join us at Dumbleton and be one of the first to meet our new friend Dexter Bear! Arrive at Dumbleton Hall and check in, make your way to your room where 'Dexter Bear' will be waiting to greet you on your arrival. Join us in the lounge for a Jug of Sangria at a time that suits you. Dinner is included on TWO of your three evenings, served in the Cedar Restaurant with breakfast also served in the restaurant each morning from 8.00am - 10.00am Come and join us at Dumbleton and be one of the first to meet our new friend Dexter Bear! Murder International return to Dumbleton Hall with a brand new Christmas themed mystery.